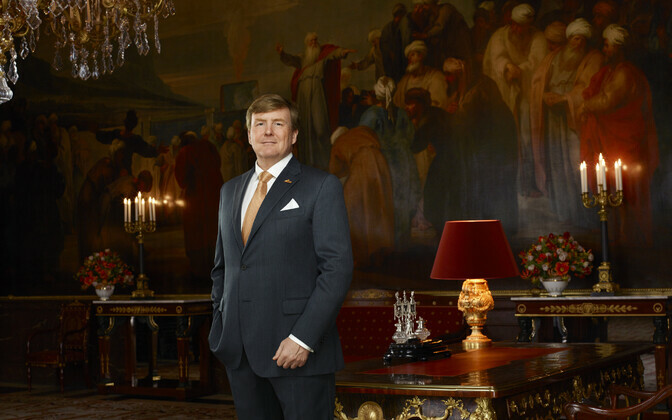 King Willem-Alexander of the Netherlands is on a state visit of Estonia on 12 and 13 June. The visit is the second in a series of three that is taking him to Latvia and Lithuania as well. Willem-Alexander will meet President Kersti Kaljulaid as well as Prime Minister Jüri Ratas (Center) and Riigikogu speaker Eiki Nestor this afternoon as well. 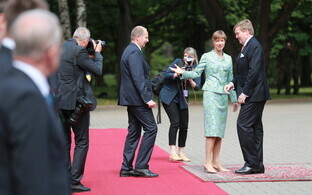 The official program of the Estonian visit starts at 14.00 today Tuesday with a welcoming ceremony in Kadriorg, after which Willem-Alexander will meet with President Kersti Kaljulaid and her husband, Georgi-Rene Maksimovski. Following short press statements by the president and the king, the program will continue with the planting of an oak tree in Kadriorg Park and a wreath-laying ceremony at the War of Independence memorial. At 16.10 Willem-Alexander will meet with the prime minister at Stenbock House, from where he will move on to Toompea Castle to meet with President of the Riigikogu Eiki Nestor (SDE). Today's program then ends with a state banquet at Keila-Joa Castle, a manor house some 45 minutes west of Tallinn. On Wednesday the state visit continues with a theme session on digital society, privacy, and cyber security at the e-Estonia Showroom in Tallinn, followed by a walk through the city's historic Old Town. After that, the king will attend a theme session on innovation in agriculture at Telliskivi Creative City. 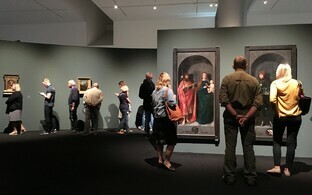 Before the official end of the visit with a farewell ceremony again in Kadriorg Park, Willem-Alexander will get a tour of the special exhibition of the work of Michael Sittow in Tallinn's KUMU art museum. 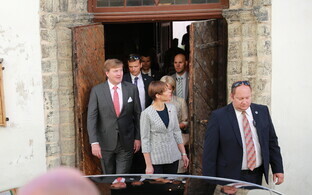 The state visit's program is focusing on historical ties between the Netherlands and Estonia, Latvia, and Lithuania. 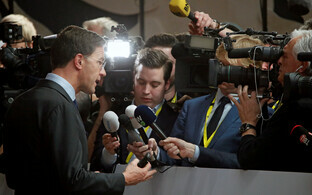 Trade between the two European areas dates back to the 14th century, and bilateral relationships are currently more important again, as the Netherlands is looking for partners in a changing European Union. According to the Dutch embassy in Tallinn, parallel to the state visits separate economic programs will explore the potential for expanding economic partnerships. 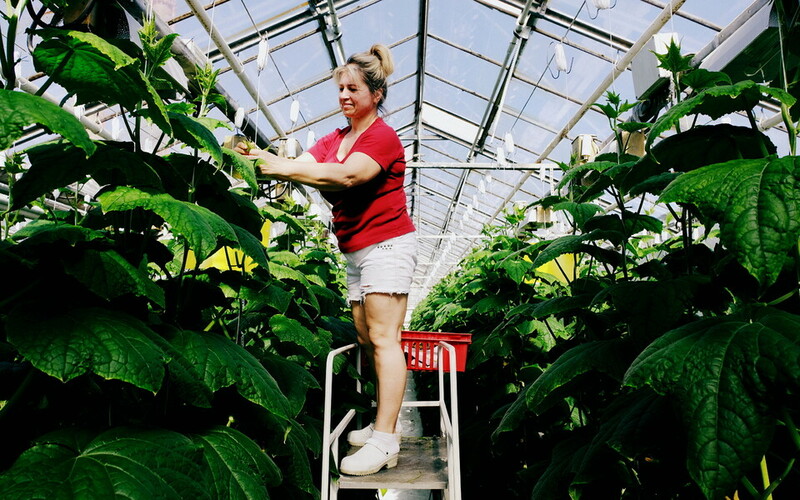 In Estonia, the focus will be on digital innovation in agriculture as well as on digital society, privacy, and cybersecurity. Dutch Minister of Agriculture, Nature and Food Quality, Carola Schouten as well as State Secretary for the Interior and Kingdom Relations, Raymond Knops are in the country as well and will be present for the themed programme components. 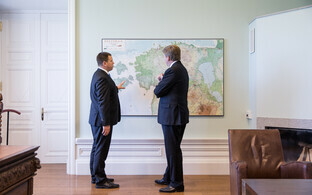 King Willem-Alexander is visiting the Baltic states on the occasion of their centennials. 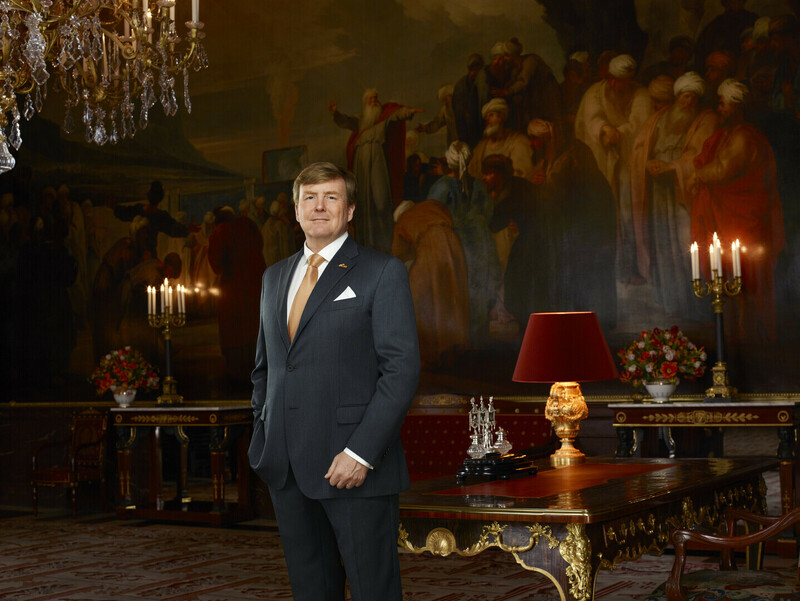 Originally to be accompanied by his wife, Queen Máxima, the king is travelling alone following the death of Queen Máxima's sister on 6 June and the cancellation of the queen's public duties.